Ask DST #252: Revenge of Minimates! We’re back, with an all-new (and all-huge!) Ask DST with Diamond Select Toys president DSTChuck. This time around, Chuck answers some big questions about tiny 2-inch Minimates! Some of the longer questions have been edited a bit to save space on the Internet, and some of the answers are brief for purposes of mysteriousness, but every question gets answered! If yours isn’t here, check back on the next Minimates go-round! The Best of Wave 3 Luke Cage and Iron Fist look unbelievable and I am so excited, was wondering if there have been any talks of making a Jessica Jones minimate to go along with them? Maybe with a little Danielle baby accessory? DSTChuck: For sure we have talked about Jessica, but no plans right now. Can you create minimates for the Lost Girl Series? DSTChuck: Sorry, Monica, we do not have the rights to that right now, and it’s not something we’re looking at, at this time. Good morning DST (or evening, depending on where you live and the time you read this letter). This time i have just 4 questions. That’s it. Long gone are the days where you had to sit through 20+ questions. Anyway, let’s get right to it! 1)What about an All-New Marvel Now! wave (LCS and TRU)? 2)What about a secon T-Bolts Box-set to finish off he new team? DSTChuck: Some of what your asking about is in the works, but we really can’t reply to such a detailed line plan question here. We’ve toyed around with story arc-themed series before, and honestly I do like that idea and should work on it some more when I work out the line plans. Out of curiosity, what determines which sets in the Toys R Us Marvel line gets the “TRU Exclusive” sticker? I know it’s generally sets that have minimates exclusive to TRU but sometimes there’s variation – for instance Series 14 that featured 4 exclusive Fantastic Four sets (with only 2 getting stickers) or the current Series 18 (where the Winter Soldier/Hydra set gets the sticker when only Bucky is exclusive/unique while the Thor/Absorbing Man set doesn’t though both are exclusive/unique). Thanks in advance, and thanks for doing these Q&As and even MORE thanks for the awesomeness that is Minimates!!! DSTChuck: For the most part, the ones with the sticker are the ones that for SURE will not end up anywhere else in that exact format. Sometimes we have plans to use the others and it doesn’t work out, or thematically we go in a different direction later down the road for whatever reason. DSTChuck: Yes, some of those have been in serious discussions. We’re already on record saying Banshee and Sunfire are a must. I know sales for the Minimates Max series were not too hot back in 2004 (Sentinel/Galactics), but I feel Minimates are much hotter now than they were back then. My question is, is there plan to bring them back or potentially release the prototype unreleased versions of Spiderman and Wolverine? I own both Sentiel/Galatcis, and would LOVE to add the two remaining ones to my collection. DSTChuck: At this time, we are not allowed by license to do those, but that is not to say at some point down the road we will not be able to do them again. I think that a great 2-pack would be Deadpool and Bob, Agent of Hydra. It would appeal to army builders who want to use Bob as another Hydra figure, plus it would allow you guys to creatively explore the ‘comic’ side of marvel. DSTChuck: Pappy, nothing planned right now, but Deadpool is selling well, so anything is possible. Hi DST, any chance we will see any more marvel zombies boxsets or two packs in the near future if ever? DSTChuck: I think what we’d like to do is a Zombie 4 pack for each Halloween. Congrats on the upcoming variant cover of ASM #1. I was wondering if you had a 2-pack to accompany it though? This is a pretty huge milestone for Minimates and it should draw some much wanted attention to the brand. Why not have the 2 characters available for new fans? I imagine it would be disappointing to someone curious about Minimates to find out Electro is $25-$35 loose and is a 4 year old figure that is long off shelves, not to mention he could use an update on that mask. Hopefully this means more Minimate variant covers as well though. If you could get a couple of Minimate covers in stores every year, you’d definitely get a spike in interest for the line. Also, where’s the love for classic Cyclops and Marvel Girl? DSTChuck: Sean, for sure we’d like to be able to do more covers, so it would be great if this sells well and Marvel gives the OK to do more. It might be cool to be able to do a 2-pack at the same time! Any plans to fill out the rest of the Uncanny Avengers in the near future? Really hoping to get a current Havok and Wasp in her new costume. DSTChuck: It’s possible, but there is nothing planned at this time. Hi Gang, I have so few (virtually no) complaints when it comes to Minimates. They are practically perfect most of the time. That said, I wonder if you could shed some light on the choice of gun holsters for Marvel and WalkingDead ‘Mates. You already have the holster design for the guns to fit snugly and with the barrel sticking out the bottom (they just fit so nicely in those), so why choose the shallow holsters where the gun just flops around and, at times, falls out? Is it an aesthetic thing or something else? I can’t imagine the snug holster costs more than the shallow holster to produce…Just got my Toys R Us, Walking Dead Series 5 set (which is excellent, btw), and it got me wondering. DSTChuck: Kevin, glad you like what we’re doing. That’s a great question, I’ll have to look into that. I know this is really early on and I don’t know exactly how this works but are you guys pushing for both a specialty and tru wave for avengers: age of Ultron? Between all the Avengers, Scarlet Witch, Quicksilver, Baron Strucker and more there are about 12 characters from this movie I hope become minimates. DSTChuck: Not sure exactly what we’re going to do for Avengers, but for sure we’ll have something! So I know it is not due to lack of interest on your part that we no longer have DC comics minimates, but who should we as fans contact to express our interest in the return of DC minimates. It makes me sad to think we may never get New 52 minimate versions of my favorite heroes and villains. DSTChuck: Ross, other than contacting them through their website or seeing them at shows, I’m not sure exactly who you ask about DC Minimates anymore. 1. whenever we do get negan will there be a battle damaged glenn (brains bashed in) packaged with him or be apart of that series? 2. since the walking dead video game takes place in the same universe as the comic is there anyway you can try and get the property to that? 3. if the spiderman foes boxset does well could we possibly see a spiderman foes 2 or someone else’s foes? 4. I hope we get another comic spiderman wave or a hulk wave. 2. I don’t think we have the rights to the video game, I’d have to ask. 3. I love me some Spidey, so of course it’s possible. 4. For sure that’s possible. So I just finished reading the new (third) volume of Saga, and it remains great. If you know anything about comics, you probably know that Saga is the book everyone is taking about. It’s the comic of the moment, a classic in the making. And it’s filled with great, visually distinct characters that would make for great toys. So how about it? Saga Minimates, please! DSTChuck: Nothing planned at this time, but it would be something we might look at. Any plans to complete the Uncanny Avengers in the near future? It’s my favorite comic and I would love to get a Sunfire and Havok along with a Wonderman and Wasp. Maybe a boxset? DSTChuck: I don’t think a box set, but these could be mixed into future series. 1. When will we see what’s in store for the Toys R Us wave accompanying wave 6? 2. With so many characters to choose from, why 2 Morgans and why so many Michonnes? 5. With the wave 6 preview pics out there, I went back and looked at Michonne at the Alexandria Safe Zone party scene. Usually you nail the details perfectly, but Michonne’s hair is longer in that scene and she has no headband, as far as I can tell. Can you say what issue and what pages you used for that figure’s details? 6. Loved the “Crawling Zombie” figure with the option for the legs to be replaced with the intestines. How about the iconic “Bicycle Zombie” from the very first issue? Have you considered her? 7. A while back you had stated that all of the zombies come from the pages of the comic. And that there was a chance we’d see a list of the exact pages they came from. Has that ever been published? If “no” then will we ever see it in the future? DSTChuck: Kevin seems your happiness over Carl did not stop you from asking us for “more” LOL! 1. I think TRU is going to skip a companion wave to 6. As of now they want MM at times when the show it on the air. So Oct and Feb.
2. Michonne is very popular, sort of like the Spider-Man of the WD universe. 3. I think the chance of a past Andrea figure is past, but we’ll see. 4. We have talked about a “flashback” box set if we think we really missed some characters. 5. That prototype uses the incorrect hairpiece. She will have the same hair as Deputy Michonne. 6. For sure we have considered that, but we’ve not been able to make it work yet. 7. I think that was a project for DSTZach, I’m sure he has been busy, but let’s hope he reads this and it reminds him. I’ve noticed a lot of requests in your “Ask DST” section for more obscure characters in the line. So, there is definitely a fan base for it. You guys should consider doing a limited 4 figure pack once a year for conventions and do a poll of characters that fans want to see created. Or, you could create some kind of “fan club” with bi-annual incentives in the form of two exclusive obscure characters for members. I know I’m not the only one who dreams of being able to collect the ENTIRE Marvel Universe in Minimate form (though, Ego the Living Planet would be an extreme longshot, lol). Let’s make this a reality! DSTChuck: I’m really not sure how many is “a lot” and what that translates to in sales – my guess is not in any significant way, i.e. 5 requests is not worth 2K sales. However after 60 series, I’d like to think we have done lots of cool characters that some would not consider on their A or B list. My question is in regards to the new Teenage Mutant Ninja Turtles Minimates line. Everything shown at C2E2 looked fantastic, but I have a concern about future product. The word from the convention is that the turtles originally had sculpted heads but that was nixed by the licensor and so the turtles will end up using the normal Minimate head. No big concern to me, I think that still works. However, my question is: does this “no sculpted heads” affect future characters, such as Splinter, Dog Pound, Fish Face, and other mutant characters or only the turtles? Can we see sculpted heads on characters that are going to need them? DSTChuck: I think we’re going with non-sculpted heads. I can’t say for sure at some point we won’t be able to sneak one or two in there but for the time being its non-sculpted heads. Hi Chuck! First off, I want you to know you have DSTZach to blame for this question… Mystery Science Theater 3000. I know what you’re thinking: that show went off the air fifteen years ago. And it was a cult show at its’ peak. But! It still has a very active fan base that buys lots of merchandise. Plus, there have been several online and live spinoff ventures keeping the fire burning. And there are now rumors of a comeback. So… Mystery Science Theater Minimates? You could probably do the whole thing in one box set (assuming the bots are pack-ins and not full size ‘mates). And I think you’d find a wider, waiting audience for things like busts and statues and ice cube trays and bottle openers… I’m salivating just thinking about all those things. So… what do you think? Possible? Please? Pretty Please? DSTChuck: Great show – I even have the old Moore Creations statues, but I think there is not enough interest for even a two-pack to work – but I could be wrong. I have always been a fan of the cosmic side of the X-men universe, and was recently re-reading the Rise and Fall of the Shi’ar empire and was wondering if you have ever considered doing a set box set with the new Starjammers of Havok, Polaris, Rachel Grey, and either Korvus or Cosair? I would love to have these characters in their Starjammer costumes. DSTChuck: I don’t think that has come up, and admittedly we’ve been light on the cosmic side of the MU, so we’ll have to try and be more open to that. I have two words for you DST, and these are: Moon Knight. One of Marvel’s best reviewed titles and a character that constantly grows in popularity. But, what can we do with him you might say, he doesn’t have that many villains. That’s why he’s the best contender for the next Through the Ages set! Think about it, big name characters are used to anchor smaller ones and villains, so Spidey, Iron Man and Thor are out of the way. Cap and Hulk got sets (Iron Man did as well but anyway), so they are out too. Thus, we are left with characters that have enough appeal but aren’t that big of a name so that we can lose their supporting cast by lumping all of their versions into one set. Now, Moon Knight has a wide array of very interesting costumes that could make for a really cool set. My picks: Mr. Knight Modern mostly black with a bit of white Suit Moon Knight #3 punching-ghosts-in-the-face-while-wearing-a-bird-skull-for-a-mask suit Fist of Khonshu costume (with the gold and the artifacts that Hawkeye made when he and the other Avengers travelled back in time in ancient Egypt) At least think about it. DSTChuck: We’ll have to see about giving Moon Knight some more love, but I don’t think a box set would be the direction we would go. With Agents of SHIELD getting renewed for a second season and Agent Carter on the way, will we be seeing a series from either of the shows? Also, will series 55 be out anytime soon? I remember hearing late April for the release date and it’s almost mid-May. Thanks! DSTChuck: We’ve talked a little to Marvel about Agents of SHIELD and the Netflix series, so we’ll have to see how that progresses. Great job so far with all the Godzilla merchandise, and thank you for the upcoming minimates! 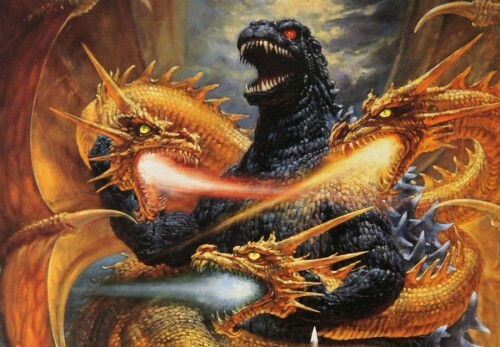 Has any consideration been given to doing a 4-pack of human characters from the Toho universe? A set including Dr. Yamane, Emiko, Ogata, and the tragic Dr. Serizawa would be amazing in minimate form (and a tiny little oxygen destroyer!) Also, and I don’t even know if this is possible, but a 12″ vinyl Godzilla 1954 designed to fit with the minimates style would be a crowning achievement- even if it’s just another bank! DSTChuck: To be honest Eric, I’m not sure we have the rights to the human characters. That’s something I’d have to look into, but for now we have no plans to go that direction. Hi Chuck! It was great to meet you at C2E2 and thanks for letting me bend your ear at the MMMV party! 2015 will mark the 40th Anniversary of Giant-Size X-Men #1, and since that was the first ever Marvel Minimates boxset to feature new characters, it would be a great time to revisit those older X-Men ‘mates and finish off the team with missing members Banshee and Sunfire, don’t you agree? Thanks! DSTChuck: That MMMV was pretty cool – I was glad you were all cool with me stopping over. For sure, Banshee and Sunfire are overdue. Hello again, I have more minimate requests. :) I was behind in my comic reading (recently read Uncanny Avengers #8) So, have you guys thought of making the Apocalypse Twins? On that note, what about a box set of the original horsemen of Apocalypse? And/or their different incarnations? Also have considerations been made for a Sunfire/Banshee 2pack? What about a Celestial/Watcher 2pack? Anyways I think that is all. DSTChuck: We’re always looking at X-Men for inspiration, but right now I think we’re putting other ideas forward in 2015. Hey, is there any way you can tell me what the Minimate line is for Avengers: Age of Ultron Minimates? If not, can you tell me if there is going to be a black widow? Also, I was wondering why you guys delayed the wave 55 Captain America Minimates? I’m really looking forward to them. Is there a certain date they will come out? I’ve heard may 28 and June 4. Thanks for your time. DSTChuck: I’m a little late replying to this batch of questions, so I think all you wanted to know has already been answered. Sorry for the delay. 1- I don’t know if it could be possible (because of licenses and everything..), but a minimates line of movie horrors characters would be awesome ( Freddy, Chucky, Jason, Michael Myers, Candyman, Leprechaun, Pinhead …etc.). 3- Is your TMNT minimates line will include some “vintage” editions? ( like tmnt figures released in 88-93 ). Thanks again for all these nice minimates !! DSTChuck: 1. We’ve looked at it, but it’s not something we’ve pushed the button on yet. 2. Not at this time, but I will say we’ve taken a serious look at two of those. 3. I think we’d like to go pretty deep into the TMNT line, so hopefully sales are there to support it. I’m a big fan of your Minimates and was curious if you had any plans to start making more of the giant size x-men. Bambit, Wolverine, Rogue, Storm, Beast, and especially Night Crawler as I don’t have him yet! Thanks! DSTChuck: Again we’re big fans of X-Men here, too, but no plans right now for a major flood of product in 2015. Hi Chuck. The upcoming Wave 59 features great looking renditions of the All New X-Men. Any chance we will be getting X-23 or Professor Pryde any time soon to round out the cast? DSTChuck: I don’t think SOON, but they are not off the table. Hi Chuck! Still a massive fan of minimates, and I can see that won’t be changing any time soon. Awesome line ups on the horizon. Excited about the Kevin Smith waves, Alien box sets, Pulp Fiction, Kill Bill, BBT, Battle Beasts and the Teenaged Mutant Ninja Turtles! Keep surprising us!!! I’m also quite pleased you gave Luke an exclusive wave. I’m a fan of his shop and order a lot from him. Awesome service. My question is about army builders. It’s been asked in the past but I wonder what is your POV on army builder waves. The Crazy 88 and the Alien Xenomorphs are being sold in a way that we can stock up on them. Have you ever considered doing similar set ups for Marvel? I know a lot of people who’d order multiple a boxed sets of a SHIELD Agent (male and female), a Hydra Soldier and AIM Soldie 4-packr? Maybe a wave with Kree + Skrull, Madrox (classic and x-factor investigations), Hand Ninja and Hellfire Guard, Doombot and Sentinel… all re-issues! Would this be possible? Either way, keep up the great job guys! DSTChuck: For sure we’ve thought about it for Marvel, but its not a direction we’re looking to take at this moment – we are looking at new ways to get Minimates out there and that could be part of it. Hello DST folks! I know this might be a weird request, but could you guys consider making a Human form of Morbius, a Carrion, the Jackel, and the Onslaught Red Skull? Thanks :) TTFN! DSTChuck: I honestly don’t think we’ve ever considered that. Hi guys. I am obsessed with Minimates and think they are so awesome! My only question is I notice how there are new marvel minimates but not DC? I know you guys used to make them so I would like to know what happened? Thanks! DSTChuck: Nate, you would have to ask DC that. Hey Chuck, have you guys looked into making Minimates of the Indie property Super! by the guys at Unlikely Hero Studios? The characters would make great Minimates. I especially want a Fire Ant Minimate. DSTChuck: Sorry, we have no plans at this time for that property. I’m really excited for the All-New X-Men wave coming this Fall!! I was wondering / hoping you have some plans in the works to do some more modern X-Men to go along with them? Particularly I would love to see Storm, Psylocke, and Havok in their most recent outfits. Either a wave or a box set, I am not picky. DSTChuck: Scott, I think 2015 will be a little lighter on the X-Men side. Hi Chuck, now that the 35th Anniversary ALIEN boxset has been solicited (it looks great), are you able to speak to what the chances are of follow up sets to fill out the rest of the Nostromo crew? Is it all dependent of sales of this initial boxset? I ask, because it seems like DST has never had concrete plans for more than this one boxset from the 1979 film. There would be several easy ways to expand this into 2 or 3 series of boxsets. – Who wouldn’t love a Minimates Space Jockey/Chair set with a bunch of eggs? While I am a fan of ALIENS, it’s the 1979 movie that really is my favorite. I really hope DST plans on fleshing out this license as much as possible. Even ALIEN3 (Charles Dance!) and Resurrection (Ron Perlman!!!) could produce some fun ‘mates. Thanks for your time! DSTChuck: We’ve got a good bit of Aliens planned for 2015, and if they sell as well as we hope, we could go pretty deep into the property, including some deluxe offerings. Can you please make legion into a marvel Minimate? Thanks!! DSTChuck: You know, I’m not sure our rights would include that, I’d have to ask. 2)What are the chances of us ever getting Warhammer 40k and Metal Gear Solid minimates? DSTChuck: Kostis, That’s WAY too much for me to comment on and I think if I did all the ones your asking about that would be at least two years of releases. Hi, Chuck, Zach and DST gang. Since you have TMNT’s license now, what’s the chance to get others Nickelodeon’s cartoons like Avatar (Aang and Korra), SpongeBob Square Pants, Ren & Stimpy and others? For Marvel Minimates, when will we get the Brotherhood of Mutants? We still need some characters like Pyro, Toad, Avalanche, Mastermind, a green Quicksilver and Blob. They’re some of the most demanded by the fans. Still on Marvel’s, some minimates have become really rare and/or expensive like 90s Gambit, bulked-up Juggernaut from Excalibur box set and a few others. Is there any chance of relaunch them? The Best Of waves are here for this too. And for the last questions, what’s the odds of a new DC series and Hanna-Barbera too? The Herculoids, Birdman, The Impossibles… it’s a extensive list! Oh, and I won’t talk about Hellboy (comics version) again, I promise. But, any chance? Last thing: DST needs to get some official distributor in Brazil, we have none and the number of minimates collector are growing lately! Best regards! DSTChuck: I’m not sure cartoon is an area we plan to focus on, BUT the chance to work on TMNT was too much to pass up, and I think there are a few others out there we’d feel the same way about, so you never know. WOW, lots of X-Men love in this Q&A. DSTChuck: The second set is already designed and approved, and ready to go out as soon as the first set ships. We’re working on Series 3 next! Hi guys! Just wondering if we can get an update on the status of Battle Beasts series 2. I think they look even better than series 1, and I’ve got a special spot on my shelf waiting for them, but have heard they may be cancelled. Can you give us any word one way or the other on if/when we’ll see these great figures? DSTChuck: Right now, unfortunately, BB2 is on hold. Now that we are getting Alien Minimates we need Predator ones. What are the chances of that happening at this point? They would complement the “Aliens” Minimates very well and probably lead to more sales. Also, a new Predator movie was just announced last week. I would love to see Minimates based on Predator, Predator 2, Predators, and even the crappy Alien vs. Predator movies! Thanks! DSTChuck: If Aliens does as well as we hope, Predator would be a natural place we would look to expand the line. So we’ll see. Do you guys have the rights for the new TMNT movie to make minimates? Also, do you guys have the rights to power rangers? Please make a Mighty Morphin Power Rangers set boxes like Red Ranger with Black Ranger or Yellow Ranger with pink ranger and also make their human form when they’re not in their suits. Thanks!! DSTChuck: Sorry. We do not have the rights to Power Rangers or the TMNT movie. Any plans to do more Daredevil characters in the near future? I would love a Matt Murdock and Foggy Nelson 2-pack from the Mark Waid / Chris Samnee current run, with parts to turn Matt into Daredevil. It would also be cool to get a Lady Bullseye, Typhoid Mary and even a new Bullseye since he is so hard to get now. DSTChuck: I think that’s possible, but nothing planned at the moment. Chuck, I’m very excited to see that DST is branching the ALIENS license out to include Minimates for the original 1979 ALIEN film as that has always been my favorite film from the franchise. ALIEN is getting a lot of exposure at the moment, Sega has a new video game shipping in October that expands upon the events of the first film, and they even got Sigourney Weaver, Tom Skerritt, and Yaphet Kotto to reprise their characters and provide new voice over work. In addition, several books are being published that directly reference the original movie. Fox also considers all of this new material canon to the original story. The point that I am trying to make is that there is more demand now for merchandise from the 1979 ALIEN film than ever before, and it would be great if DST could ride that momentum and complete the Nostromo crew in Minimate form. ALIEN could easily produce 2 to 4 boxsets of Minimates, and fans don’t mind if you have to get creative by giving us glow in the dark or translucent versions of the Big Chap in order to fit the Monster into a boxset. On top of completing the Nostromo crew with Ash, Lambert, Dallas, and Brett, there are spacesuit versions of Lambert, Dallas, and Kane, as well as alternate looks for Ripley as well (“Lucky Star” and space suit). If you really want to get creative and offer a Space Jockey and chair in Minimate form, that would be amazing as well! Does the ALIEN/ALIENS license also include the option for merchandise from Alien3 or Alien: Resurrection? I would love to see DST acquire the Predator and AvP licenses as well, AvP would be a perfect license for the Blind Bag system you are rolling out with TMNT. No humans, just multiple variations of Aliens and Predators. Please consider expanding the Minimates product for the original ALIEN film, the demand is there. Thank you, Justin. DSTChuck: We’re hopeful there will be lots of fans out there that think like you do, and we’ll be able to go lots of places with the Alien / Aliens lines. In series 60, can we start a “build-a-figure” in marvel minimates? One reason is because you’ll make more money, people want a cool build-a-figure(like in marvel legends). I think the first build-a-figure should be moonknight, or medusa, or lockjaw, or black panther. Thanks! DSTChuck: Sorry but we are not allowed to do a build-a-figure with Minimates. Are there any plans on making a Walking Dead Axel minimate? He’s one of my favorite characters and I found it a little disappointing that Dexter was made and not Axel. Thanks. Got your own question for DSTChuck? Submit it at the top of the page! Next Up: In Stores This Week: King Ghidorah and Darth Maul Vinyl Banks!